This entry was posted in Riddiford and tagged Ballarat, Cuddington, Kirkin, Minogue, Piddington, Riddiford, Smeaton. Bookmark the permalink. fantastic post again MR. every bit was wonderful. especially the Smeaton Brass Band welcoming Pte W Riddiford home. Are you sure of “97 Humffray South”? I went there today to get a photo for you. Humffray South begins with a hotel and motel, then church and manse, then a house which looks like it was an A.N.A place, then a garage on the corner of Main Rd. Across that a glazier’s building definitely 100 years old fills entire block to Porter St. from there it is 101, 103 etc. Let me know if there is anything else here I can photograph for you. Thank you so much Ann. I double checked the address and it was 97, however there is a possibility that the numbering has been changed in Humffray Street Sth. Thanks to your comment, I realised I had left out Thomas and Queenie’s last home in Ballarat, 619 Humffray Street. I double checked that too, but the 1954 Electoral Roll said 105 Humffray Street Sth, with Stan living next door at 107. It’s true Stan lived next door to his parents, but at 621. So I have rung Dad and he said yes definitely 619/621. Therefore the numbering must have changed. That would then make 97 Humffray Street close to where they finished up. If I search 105 Humffray Street Sth at Google Maps, it brings up 105 Humffray Street Nth. I think next I’ll see if I can find out about any changes at the Ballarat Library research room including the rate books. Thank you again, your wonderful comments are always appreciated. Firstly hello to all the Riddiford’s around the world. And secondly what an absolutely fabulous post. So well researched and so well written, and of course I have to make mention of all those wonderful family stories that you’ve picked up along the way that really ‘make’ family history. What an amazing wealth of information Merron! 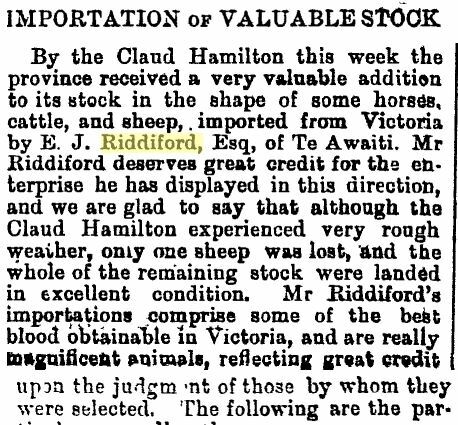 I too thought Riddiford would not be a common surname. WOW. What a fabulous post Merron, I loved reading all of it. You have a lovely story telling ability which kept me enthralled right to the end. Thank you so much Kylie for your lovely comment. I’m glad you enjoyed the Riddiford story. I am a Ridddiford!!! Now you have a few more to add to the list. And like the Minogue’s family, I live in Neath, South Wales, UK. It was nice to read your research. My dad has researched our family tree and has a photograph of the lovely (not so) Dinah Riddiford. Lovely to hear from you. It’s always good to meet other Riddifords. I was wondering which branch you are on. 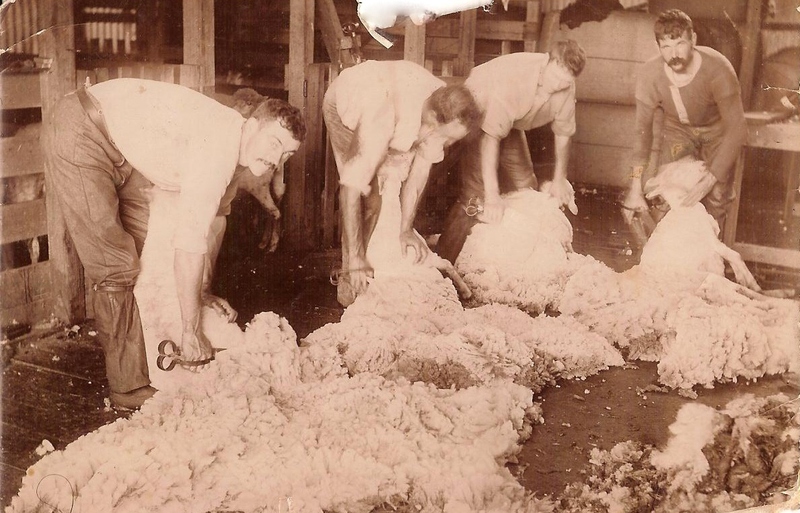 I know Riddiford’s in Queensland, Australia that are descended from the Welsh Riddifords. Merron. Ernest Arthur Riddiford died at sea. He joined Grimsby Fishing Fleet 3 Nov 1892 falsely giving his dob as May 1878 but he was only 12 at the time. Records have him as 4’9″ tall, dark hair, blue eyes. Home address given as Cuddington Bucks. Reported as being a very good lad. On 22 Apr 1894 he drowned at sea, presumably off the English Coast whilst assisting with a tray sail. . Thanks so much for that John that answers my question. Sounds like he made a break from the work house. What a sad, short life he had. First I’ll declare my relationship. My GGGrandmother was Harriet Riddiford b1840. Her GGGrandparents were Thomas Riddeford and Arabella Trottman, whom you mention in the trivia section. So noting that your line of descent is also through Arabella I thought you might be interested to know that she has a very interesting and illustrious ancestry (assuming you didn’t already know). I have traced her line back a further 8 generations to the Lords of Berkeley Castle – the Hardings. They are one of the great medieval families of Britain, who origins disappear into the realms of Viking myth around 200 AD. In addition, these early Hardings married into the de Somery line (amongst others), whose origins trace back to Charlemagne, Alfred the Great and before. John. I have your GGGrandmother Harriet born 1840 Cheltenham, Glouc. as the 7th of 12 children to Edwin Riddiford and Ann White (his 1st of 3 wives). I have Edwin as the 7th of 8 children to Aaron Riddiford and Sarah Mainstone. I have Aaron as the 2nd of 10 children to Arthur Riddiford and Mary Saunders. I have Arthur as the 2nd of 6 children of Thomas Riddiford and Arabella Trotman. Harriet married William Long born 1840 Barney Norfolk, a Licensed Victualler in 1861 in Lewisham. I have them with 8 children – 2 of whom were born in Constaninople (i.e. Istanbul). Both a William and a Harriet Long died in Lewisham in first quarter of 1917 aged 76. Their death index records have them with consecutive index references so I’m assuming this is them and that they both died hours or days apart from possibly the influenza epidemic. Can you confirm this please. What you have is all correct, except that William Long was a blacksmith in 1861 (the job description is actually recorded on the line for his siter in the original census return). He only became a Licensed Victualler sometime after the family returned from Turkey, around 1874/5. The pub they ran was the Black Bull in Lewisham High Street (now called the Fox and Firkin and viewable on Google Street view). William Long, however, appears to have been more than just a simple blacksmith. He had moved with his family to the Plumstead area by 1851. His father, Robert, was a saddler and collar maker at Woolwich Arsenal. It seems that William also worked at the Arsenal and was probably something of an engineer, not just a simple blacksmith. He may have gone to Turkey to work at an armaments manufacturing plant in Zeytinburnu (where Arthur Edwin Long my GGrandfather claims he was born). I only know this because I found an old map which shows Zeytinburnu as a tiny village on the shores of the Bosphorus dominated by a “cartridge factory and shot works”. I think the family made a good deal of money out there and were able to get involved in the pub trade when they returned to England. The family went on to own/manage a large number of London pubs over the following century. This may have been Harriet’s influence as the Riddifords had a also been landlords in the past. Aaron Riddiford ran the inn at North Nibley in 1800 – again you can see this on Google Streetview – today it is the Black Horse. William died soon after Harriet because he was in general bad health and the shock was too much. She seems to have had a stroke or heart attack. The death certificate is not too specific. Harriet’s father, Edwin, is an interesting character. He was a policeman and eventually became a Superintendent. A number of his sons followed in his footsteps, the most notable being John Raymond who was with the Surrey police at the time the celebrated Victorian detective Jack Whicher carried out one of his investigations in the Reigate area (nothing to do with the Kent case for which he is most famous). Edwin, too had his moments – he investigated the death of Sarah Moss, who had her throat cut by William Mealing in Rendcombe, Gloucestershire in 1862. According to the newspaper reports, Sarah had asked Mr Riddiford to get more maintenance money from the father of her 3-year-old illegitimate daughter. 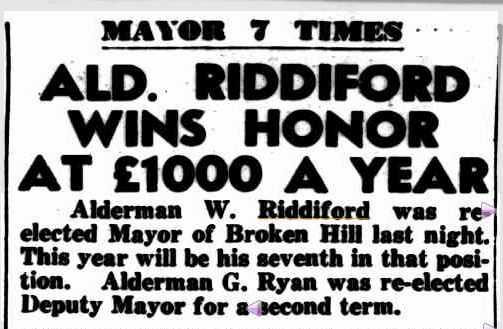 It says Mr Riddiford was in the habit of receiving the money from the father and handing it over to Sarah. At the time of her death, Sarah was heavily pregnant with William’s child. He was found innocent on the grounds of insanity (although he’s named as murderer on Sarah’s death cert) and spent the rest of his life in Broadmoor Asylum for the criminally insane. 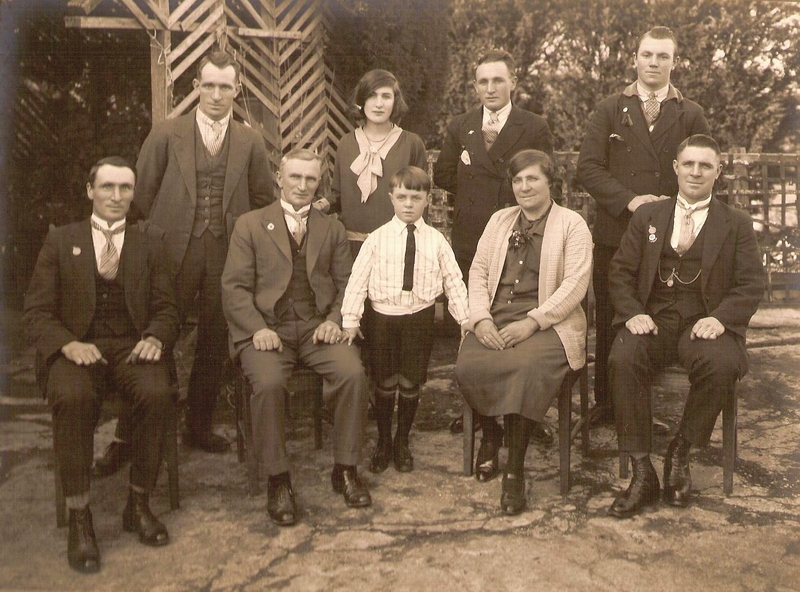 Edwin’s sons – Aaron, Thomas White, James and Arthur Walter – also became policemen. James, like John Raymond, died young, while Arthur disappeared from the public record (in UK at least) in 1871. Aaron and Thomas retire from the police and move to Birmingham where they work for the council as Assistant Parish Overseers. However, Aaron Riddiford defrauded Birmingham City Council of £500 in 1876 during his employment as a rate collector and then absconded. 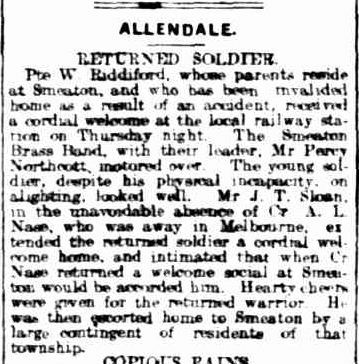 He disappears entirely from the public record in UK, but re-emerges on his death in 1897 – in Canada. Thomas had been brought to court on a similar charge to Aaron in 1873, but was acquitted. He then disappeared from the public record too. Another son, Edwin similarly disappears after 1851 as does Nigel the fifth son, post 1853. He was accused of pilfering a few pence (at age 11) but was acquitted. However, he may have died in 1856; but I have assumed this recorded death of “Nigel Riddiford” (with no age stated) is his uncle who was also a convicted felon from 1833. It could be that the 1853 criminal charges were actually against this man as no age is recorded here either. Anyway, in 1853 there were two Nigel Riddifords but there is only one subsequent death record – at least in UK. So to sum up, Thomas White, Edwin, Nigel and Arthur Walter all disappear from the UK without any death record (or census record, or marriage or children) that I’ve been able to find. With the exception of Harriet the daughters of Edwin (the Superintendent) all die young. The saddest is Emma who appears to have been a kleptomaniac. She gets four sentences for fraud and larceny and spends several years doing hard labour. She dies soon after release in 1859. Sarah Ann seems to die in child birth aged 22 while the other sisters both die in their teens. Aaron Riddiford died in Toronto from Pneumonia 22 Nov 1897, aged 70 – occupation Yard Foreman. He abandoned his 1st wife Eliza Pearce and family but three of his sons George Henry, Arthur Charles and Gerald Ben, from that family were to also migrate to Canada then to USA. Aaron had 8 children to second wife Rose (Emma?) Newman but no marriage record found in USA for them so they may have lived together as de facto. Thomas White Riddiford is on the 1881 census as Thomas W. Biddiford, Messenger age 49, in Birmingham with wife Sarah A. Biddiford age 40 born Carmarthen and niece Sarah A. Moses born same. No marriage record found. 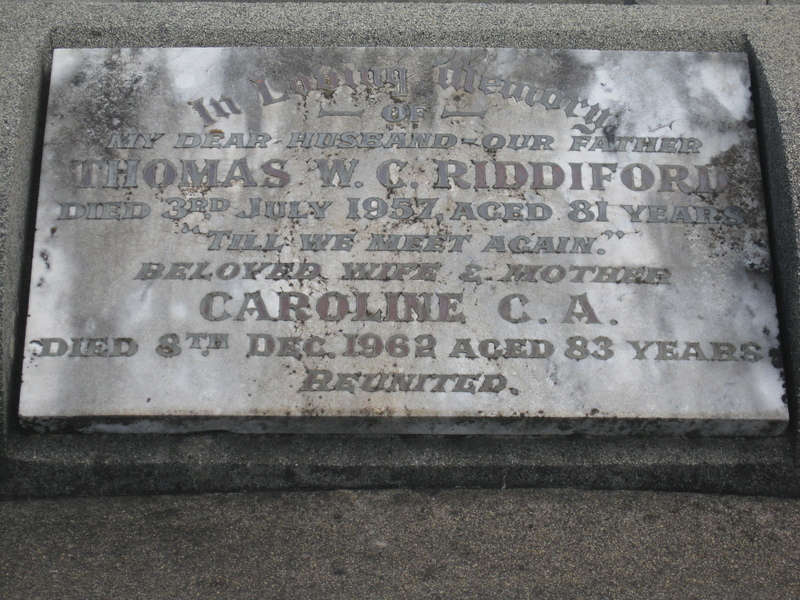 A Thomas Riddiford died Birmingham 1884/Q1 age 49 (age is out). This is probably him. I haven’t tried to get his certificate. I have nothing more on James Riddiford beyond the 1861 UK census apart from a notation – believed to have died c 1865. Like you, I have nothing on Arthur Walter Riddiford beyond the 1871 census. Similarly nothing for Edwin Riddiford beyond 1851. 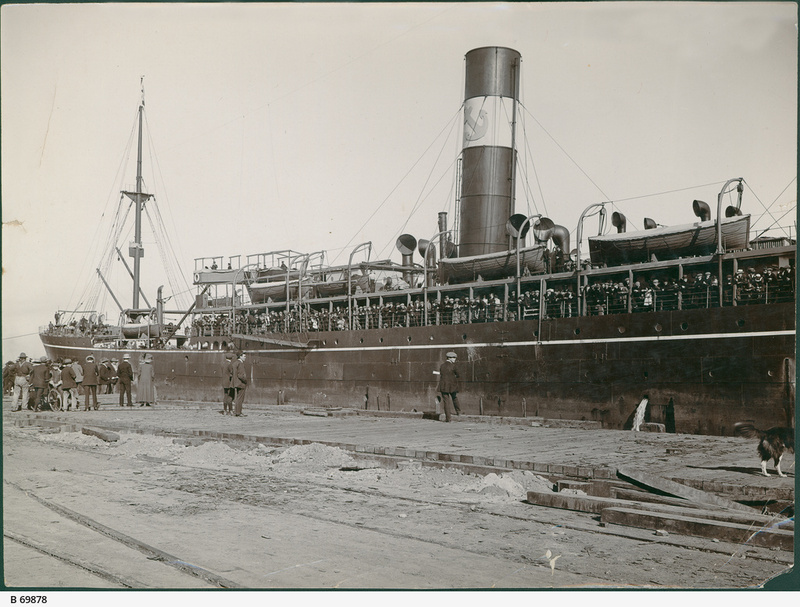 For Nigel Riddiford, under The List of Ship’s Deserters South Australia is recorded Nigel Reddeford. – Boy Feby. 1857 Ship J.F. Chapman. This is likely to be him. Perhaps his father made him join the navy for disciplinary reasons or an order made by the the court to avoid conviction for burglary. No other information held on him although there is an N. Riddiford on the Unassisted Immigration Passenger List departing Brisbane and arriving Sydney 4 Dec 1887. Apart from Harriet, her sister Ann Riddiford born 1843 lived until 1913, dying in Leicester. She had 6 children to a William Chambers (no marriage record found) plus an earlier son, Frederick Alexander Riddiford born 1893 Plumstead. If you are prepared to communicate direct with me by email, I can forward you a full list of descendants and my supporting information from my database, commencing with Edwin’s parents Aaron Riddiford and Sarah Mainstone. Pleased to do this. How do we set up private communication? A further observation re: the old lady, Dinah Riddiford, who was hanged in 1816. It may explain why she stole and why the Courts took such a hard line. Anyway, it is possible the old lady was driven to theft by rising prices, food shortages and ultimately hunger; meanwhile the authorities probably took a hard line because they feared widespread civil disorder – this is the sort of thing that fuels revolution. Thank you John and John for your comments. Reading them has been interesting and will help other Riddiford researchers. I really like the Thornbury Roots website and have used it often. When I get the time I will do some more research on the Trottman’s who I have neglected to some degree. Thank you John for giving me the lead on Arabella’s lineage. 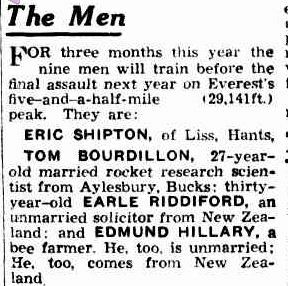 I have just stumbled onto this thread and have information on a Riddiford who may be the gerald Ben Riddiford, b. 1870 d. 1899 son of aaron riddiford. If i am right gerald ben is my great grandfather who somehow found his way to Cincinnati in the 1890s and married my great grandmother Jemmima Olarenshaw (another English immigrant) and produced my grandmother Mima Riddiford Pollitt (b. 1898 Cin. d. 1986 San F.) and my uncle Basil Riddiford Pollitt (b. 1919 d. 2005). It would appear gerald ben never had a chance, living only 29 years, and my grandmother always considered herself an orphan. Gerald Ben first arrived in North America in 1892. His father Aaron had earlier migrated to Toronto Canada in 1873.The 1881 US census records your great grand mother Jemima as having migrated in 1891. RegardsJ.R. Someone on the Rootschat site suggested I get in contact with you. I can see we have some things in common. I have an ancestor (with his family) that went to Constantinople in 1871 and 1872. He may have been there for as long as 1867 – 1873. My ancestor was a Metal Turner at the Woolwich Arsenal. According to the familiy story he was there to help teach the Turks to make guns. He had a son born in Zeytinburnu. Same as you I discovered the armaments factory in Zeytinburnu. There were a lot of foreign workers there. Infact it sounds like they were running the place. There seems to have been some sort of disagreement with pay with many (perhaps all) not being paid. Perhaps this is why they returned to England. Do you know anymore about your family member’s time in Turkey? I would like to try and find out more but I’m finding it very difficult! Merron, Because I just discovered that Mr GeniAus’ had ancestors in Cuddington around 1790 we just did a detour and visited the village and church but didn’t stop in at The Crown Inn. His ancestor’s name is Piddington so I did a search which brought me to your post – small world. I need to do some more work on this line. I will check out your other Cuddington posts. Kenneth Thomas Riddiford late, from Wales, travelled to Australia and married my Mother, Beatrice Violet Shipp. They has 4 children, Kenneth David Riddiford, Brian Leonard Riddiford (me), Barry Thomas Riddiford and Shirley Anne Riddiford. Hi Brian, thanks for your comment. I am Facebook friends with Ken and Barry, so it’s nice to meet another brother.